With your new Sprouts mobile app, you can now unlock additional savings with promo codes! Ready to Redeem a Promo Code? There you go! Your promo code is instantly clipped and added to your My Clipped Coupons and mySavings & Barcode for easy checkout. There you go! 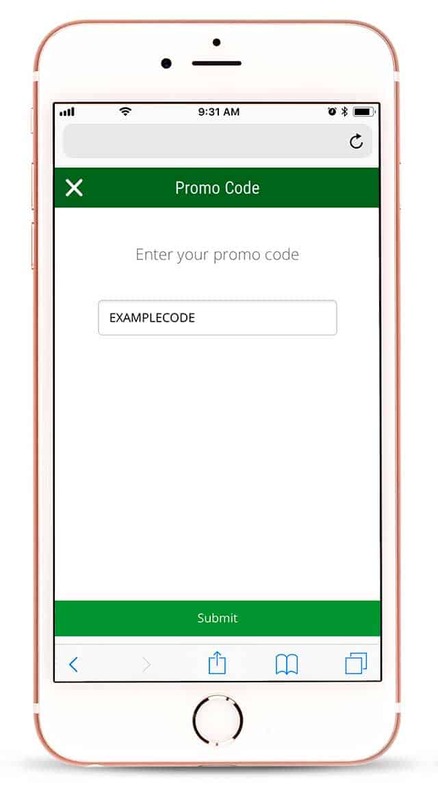 Your promo code is instantly clipped and added to your My Clipped Coupons and mySavings & Barcode which can be redeemed with your phone number as your alternate ID at checkout. For more information on promo codes please read our frequently asked questions and our promo code terms. We also have additional information on our mobile coupons program. Each mobile coupon is valid for a single use at any Sprouts Farmers Market, excluding Sprouts Chula Vista and Sprouts Express locations, while supplies last. Digital coupons and paper coupons may not be combined on the purchase of a single item. Your Barcode or alternate ID must be processed at time of purchase. Cash value 1/100¢. Other restrictions may apply. Cannot be combined with any other offer or discount. Not valid on past purchases. Not subject to doubling. Valid only for specific item(s) listed on coupon(s), subject to expiration date on coupon(s) and availability of products. No rain checks.